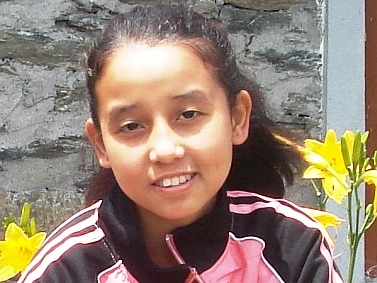 Pascalina Lepcha, was borm into a Nepali Hindu family of 8 children in the remote mountain village of Samthar. She studied in the local village school till the 8th class, and was a bright student. She was dismayed when her father told her that she could not go to school any longer as he could not afford to educate her. 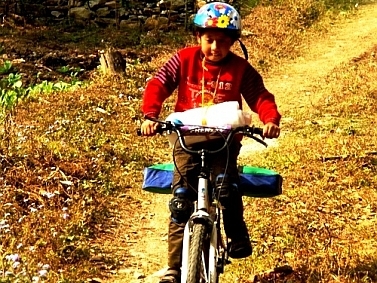 Heartbroken, she took solace in the company of her school mate Chhanam Lepcha – a Catholic Christian. At the age of 14 they decided to elope (as per local custom), and earned the disapproval of her parents. Finally the village elders persuaded Pascalina’s parents to bless their union. Pascalina became a catholic and was formally married and given her name Pascalina. When Awake & Shine School started its first nursery class, Pascalina was interviewed for the job of a helper with nursery children. When asked how she will manage to look after her 5 daughters aged 2 years to 10 years, and also do her job, she said she will never be absent or late to work. For 8 years she has kept her word. 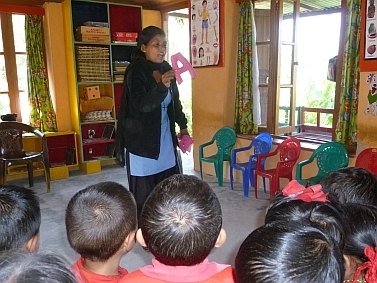 Pascalina had a burning desire to be a teacher. Also she wanted to provide a good education to her daughters – Elizabeth, Adiline, Enorga, Elisha and Eshika. Henry Unwin, the school’s first volunteer teacher was her immediate boss. 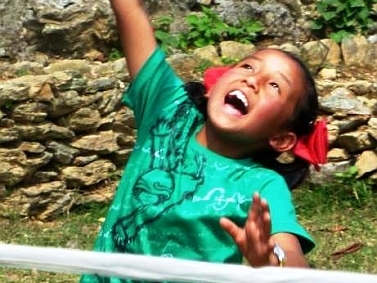 Henry discovered that Pascalina demonstrated remarkable skills in handling children, and could become a teacher with coaching in spoken English. 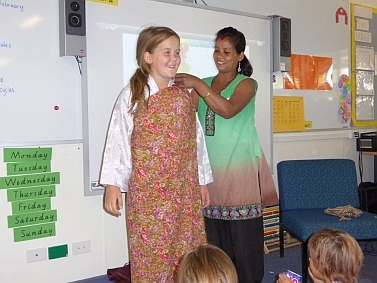 Pascalina, along with Angela Lepcha was selected by individual members of Rotary club of Benalla , to visit Australia in Jan- Feb 2014, and participate in a tailor-made program of cultural exchange and exposure to latest teaching methods. 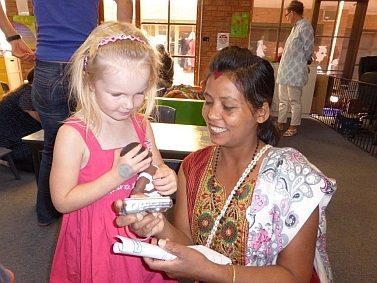 Pascalina and Angela stayed with families, participated in social exchange and visited infant and primary schools. They were exposed to the latest methods of teaching English. Despite her limitations in spoken English, She did very well to win friends and admirers, and gained many new scholarships for our children, sponsored by members of the club. 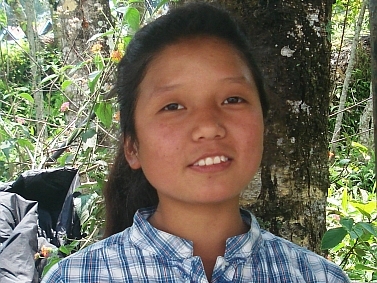 Pascalin’s four daughters; Adiline, Anorja, Alisha, and Ashika; who finished their primary education at Awake & Shine School, have all been sponsored for education at boarding schools, in Kalimpong. They are doing very well, securing over 85 % marks, and assuming leadership roles. Their success is an indication of how our foundation level education at Awake & Shine, is empowering children as “change makers of the future”. 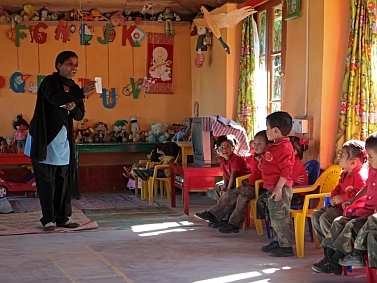 Pascalina has been empowered through her experience at the school and our teachers development opportunities, and has evolved into an outstanding nursery teacher with a six fold increase in salary in 8 year. In addition she is running the school knitting club and earning extra duty allowances. 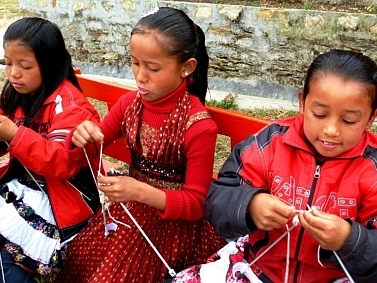 Pascalina, has not only empowered herself, but has had a major role to play in empowering her daughters, with the help of her supportive husband Chhanam Lepcha, who is a farmer. This inspiring story tells us how rural India is changing, and how education and opportunity is empowering women and the girl child.